Dental veneer minimizes the trimming of real teeth, overcome teeth defects such as spacing, chipped, broken or yellowed teeth, etc., are considered to be the optimal technology in modern dental treatment and restoration. Help the patient quickly obtain cosmetic teeth and ensure eating. 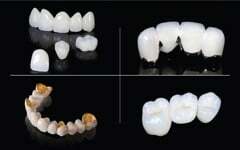 Should you have dental veneers? 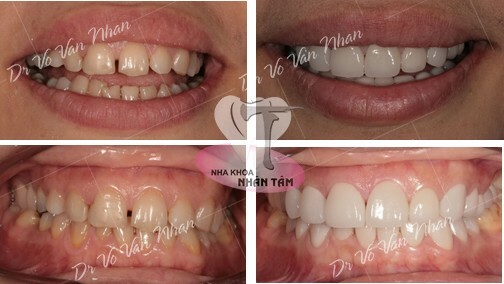 The veneers' pricelist in Nhan Tam Dental Clinic is open for customers to choose the appropriate crown. Doctors will proceed to examine, taking 3D Cone Beam CT to analyze the general dental condition to formulate an accurate and effective treatment regimen. Maintain oral hygiene, remove plaque and clean the entire oral cavity. 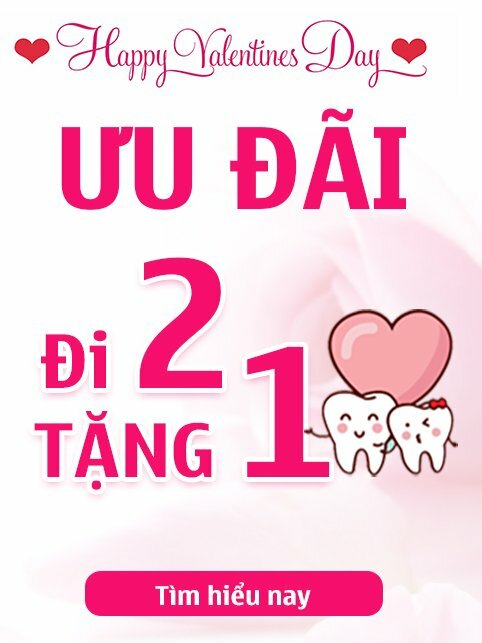 The doctors will take x-rays then import them into the software to analyze color, teeth shapes, smile line, etc., after that, discuss with the customers to find the most suitable smile and teeth shapes. 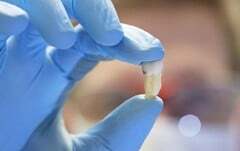 Depending on the situation of the teeth, doctors will shape the teeth to accurate ratios, ensure no biological violation, protect gum tissues and real teeth. Scan the teeth with 3shape software, help to get teeth impression quickly, accurately and eliminate error compare to the previous method. After manufacturing, the veneer will be attached to the teeth, adjusted and secured to ensure proper chewing and cosmetic. 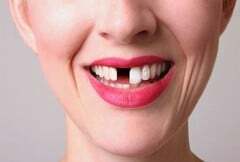 After the procedure is completed, the doctor will schedule a follow-up visit (if require) and instruct the patient on dental care at home so that the veneer always durable and long-lasting. HOW LONG DOES VENEER TREATMENT TAKE? 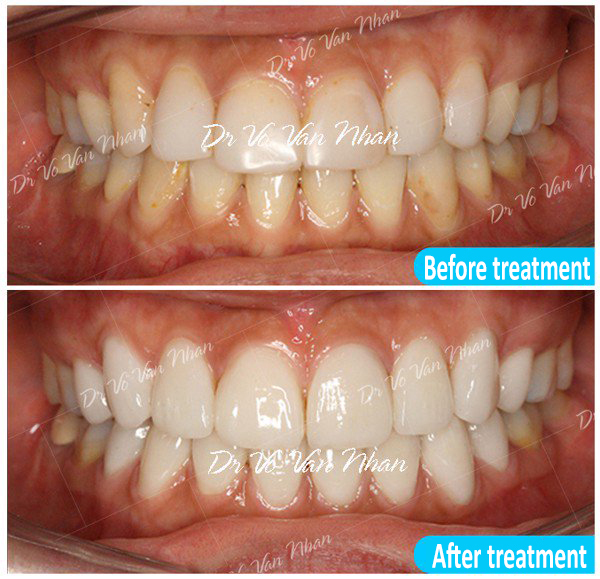 With modern treatment technology and a team of doctors with many years of experience at Nhan Tam Dental Clinic can reduce cosmetic crown treatment time significantly. 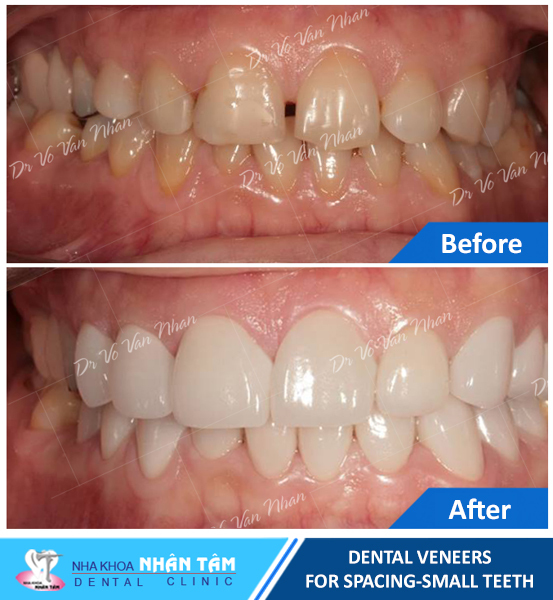 To complete a Veneer procedure, customers required to schedule 2 - 3 appointments at Nhan Tam Dental Clinic. In the first visit, doctors will proceed to examine oral health, dental hygiene, smile design and shape the teeth. Veneer technology will minimize tooth trimming and limit real teeth invasion. 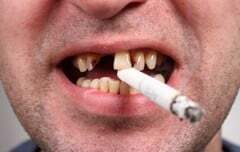 There are cases that did not require tooth trimming at all. Tooth trimming can only be performed with 0.3 mm at max and entirely non-invasive to real teeth. 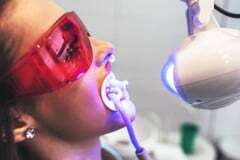 After shaping, the teeth impression will be obtained by an automatic scanner. The parameters acquired will be sent directly to the Lab right at Nhan Tam Dental Clinic. Technicians will proceed to create the veneer with maximum accuracy according to these values, ensuring tight fit and durability. On the second visit, doctors will begin to attach the veneers to the teeth and secure them with a cement compound combine with high-intensity biological light. After restoration, the veneers will be rigid, fit tightly with gum tissue, natural color like real enamel and entirely harmonized with the entire teeth. 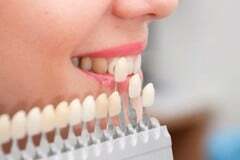 However, veneer treatment duration varies in each person, depending on oral health and medical condition. If the patient is suffering from diseases such as gingivitis, tooth decay, periodontitis, etc., doctors will need to treat those diseases first before performing veneer treatment. 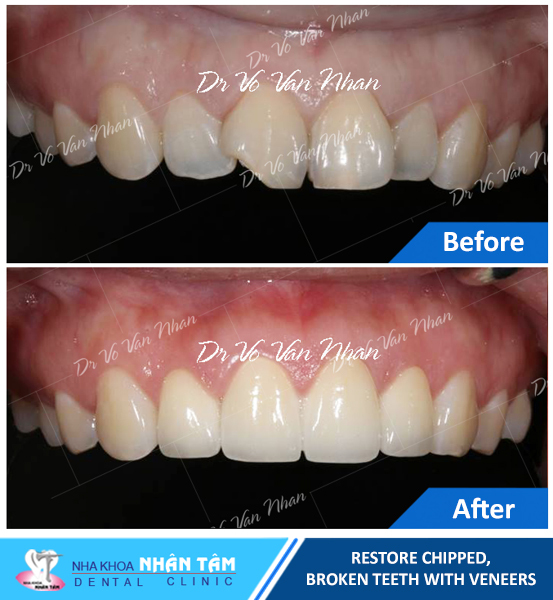 To know the exact veneer treatment duration, customers need to come directly to Nhan Tam Dental Clinic for examination and plan the most suitable treatment regiment. When should you have dental Veneers? 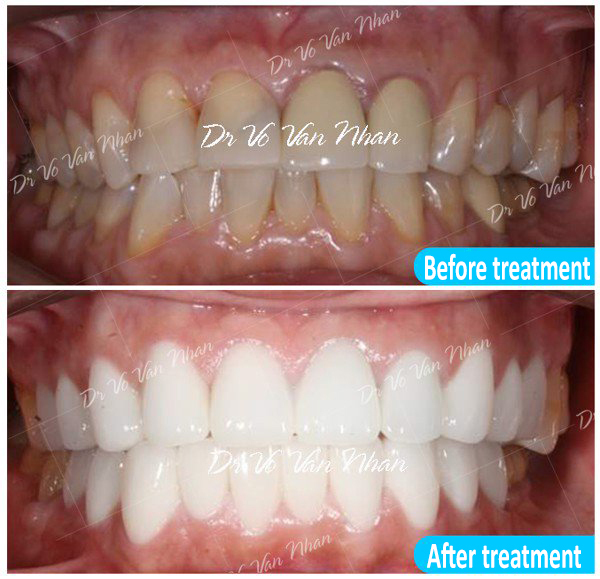 WHY SHOULD YOU CHOOSE NHAN TAM DENTAL CLINIC FOR VENEER TREATMENT? 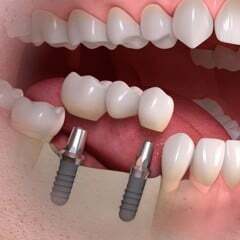 Veneer is a dental restoration technology that requires good doctors, modern equipment. Because of that, when decided to have veneers, customers need to choose a reputable clinic to ensure a safe and perfect restoration result. A team of doctors with more than 20 years of experience in the field of dental cosmetic, graduated from famous national and international universities. Always updated with modern cosmetic trend, guarantee to bring the most accurate and suitable treatment regiment for each specific cases. Dental sterilization system that meet international standard completely removes cross-contamination. Modern Lab right at the clinic with a team of skilled technicians, ensuring fast and precise crown manufacturing process according to doctor instruction. 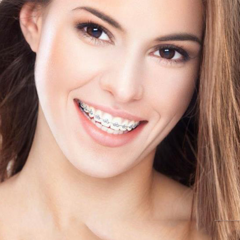 Utilize modern treatment technology, equipment imported directly from Europe with: 3D CT Cone Beam scanner, 3 Shape dental scanner, CAD/CAM automatic crown producing system, etc., minimize treatment time, elaborate crowns and maximum cosmetic after treatment. 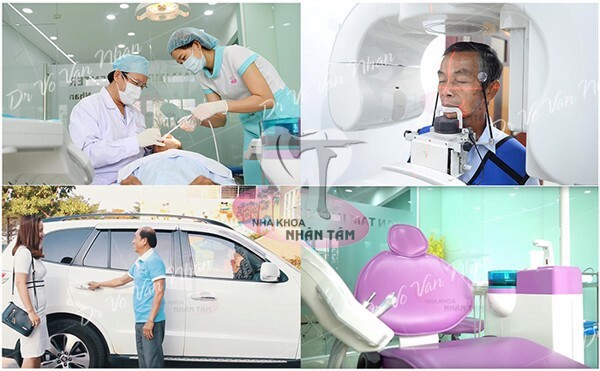 Free examination and transportation, provide convenient in examination and treatment at Nhan Tam Dental Clinic. 5 stars quality services, dedicated care before, during and after treatment.